According to Turkish Navy website F-494 TCG Gökçeada was replaced with F-490 TCG Gaziantep. TCG Gaziantep will serve as the flagship of Read Admiral Sinan Ertuğrul, the commander of CTF-151 until 1 December 2010. This is the second deployment of TCG Gaziantep to the region. TCG Gökçeada ran aground 20 day ago at Mombasa, Kenya. Although there has been no official information available neither from Turkish General Staff nor from Turkish Navy, the damage the frigate has received forced her withdrawal from the duty. It is a shame that we have to learn such information from haters of my country who are drooling with schadenfreude. 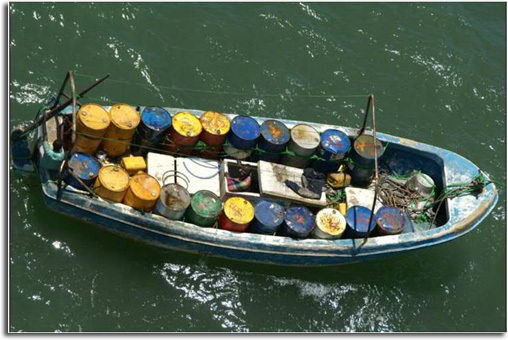 Turkish Navy announced yesterday, that a skiff used for piracy was put out of action. 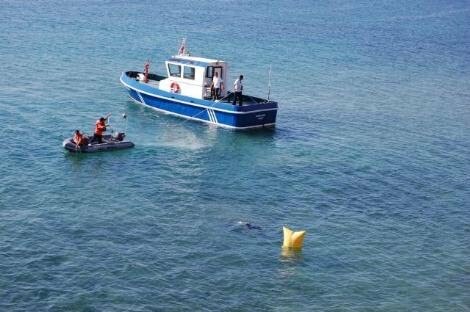 Turkish frigate F-492 TCG Gökçeada during the execution of a reconnaissance-surveillance mission close to the coast identified a boat that was used for piracy. 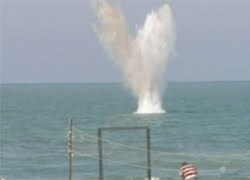 According to the news release appropriate action was taken against the boat. Now the term “appropriate action” is very vague and does not mean much. If there had been any arrest it would have been mentioned thus I assume that the crew of the skiff was released after the “appropriate action”. The most single important information in that short news release is the fact that TCG Gökçeada was close to the shore. 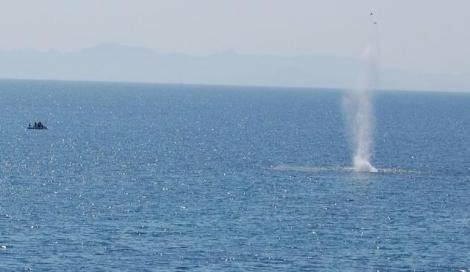 The photos unfortunately do not show any horizon so that we can guess how close the ship was to the shore at the time of the interception but the color of the sea is much murkier compared to the color of the sea from the photos taken during the actions in open seas. The color of the sea is indicative that the ship (probably) was visible from the land. This is a major tactical shift in the war against piracy. 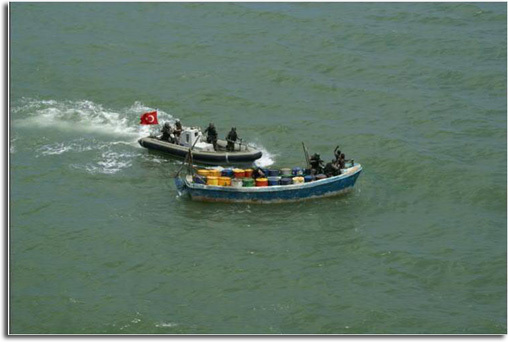 The naval task forces in then area are now appearing much closer the shore that before in order to identify and comprehend pirate boats before they do out to the sea. We will see if this change in tactics will help in the fight against piracy. TCG SOMALI BASIN (NNS) — Turkish frigate TCG Gokceada, flagship to the multi-national Combined Task Force 151, successfully disrupted a group suspected of planning an act of piracy Sept. 26. The ship’s helicopter was scanning the southern Somali coast for pirate activity when a suspicious vessel was seen not far from the shore and near a suspected pirate camp, some 100 miles south of the Somali capital, Mogadishu. 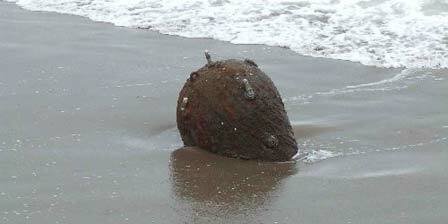 Initial reports from the helicopter crew stated seeing the kind of equipment commonly used by pirates on the vessel. 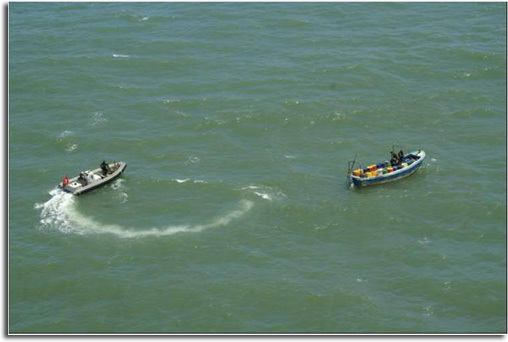 TCG Gokceada’s boarding team was quickly dispatched and boarded the suspicious vessel. TCG Gokceada is the command ship for counter-piracy operations in the Somali Basin, where numerous ships from different navies are patrolling the area to rid the region of piracy, and provide maritime security in the busy shipping lanes. The coalition task force is currently being commanded by Rear Adm. Sinan Ertugrul from the Turkish navy. 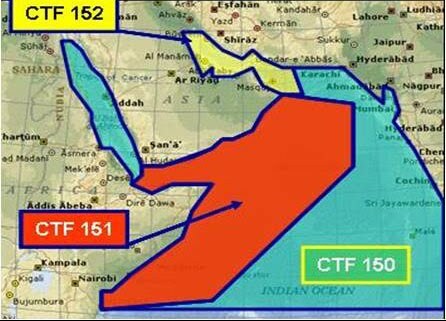 CTF-151’s mission is to deter, disrupt and suppress piracy, protecting maritime vessels of any nationality and securing freedom of navigation in the Gulf of Aden and Somali Basin. 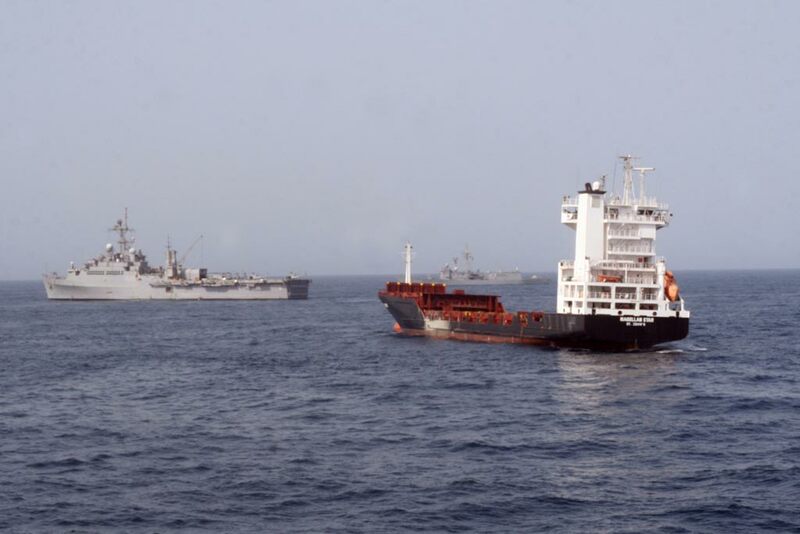 In conjunction with NATO and EU Naval Force Somalia (EUNAVFOR), CTF-151 conducts patrols in the Internationally Recommended Transit Corridor (IRTC) and supports the best management practice (BMP) methods that are promoted to the shipping industry for the avoidance of piracy. This news release provides answers to many important questions like, what happenend to the pirates, how close was the frigate to the shore and what the phrase “approriate action as taken against the boat” does really mean. This week’s most important naval news is the recapturing of the Antigua-Barbuda-flagged, German–owned vessel M/V Magellan Star by US Marines. On 8th September, when the pirates aborded the ship, the crew escaped to a citadel inside the ship and called for help. The CTF-151 flagship, F-494 TCG Gökçeada, was the first ship on scene, responding to the distress call. Two additional US warships assigned to CTF-151, LPD-8 USS Dubuque and CG-59 USS Princeton were send to assist. Although TCG Gökçeada was the first ship to arrive, it was the US Marines on board of USS Dubuque who took the Magellan Star by force. There is an excellent point of view report from one of the marines who took part in the action. In the small hours of 9th September, when US Marines boarded, the crew of M/V Magellan Star was still inside the citadel and the 9 armed pirates did not fight back, that was a clever move of them. Click here for the official statment. A special forces team is always embarked on board of Turkish warships send to the region. On the official statement of Turkish Navy it was not clearly mentioned whether there is a special forces team currently on the board of TCG Gökçeada. 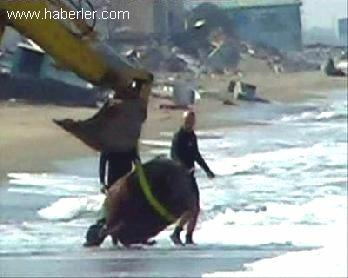 If there is one I wonder why they have not taken actively part in the rescue operation. >The Combined Maritime Forces Public Affairs of US 5th Fleet released an article about the handover of the Command in CTF-151. “CTF-151 will continue its crucial role to enhance maritime security and to secure freedom of navigation in support of United Nations Security Council Resolutions,” said Ertuğrul. On 1st September 2010, at Mina Salman pier in Manama, Bahrain there will be a ceremony for the change of command in CTF-151. The ceremony to be held on board of F-494 TCG Gökçeada will mark the second command period of CTF-151 by Turkish Navy. This period will end in December 2010. Previously between May and August 2009, Rear Admiral Canar Bener commanded the task force. This time Rear Admiral Sinan Ertuğrul will be at the helm. TCG Gökova will be his flagship. Turkish Navy prepared its own homepage about CTF-151. >Today Turkish frigate F-494 TCG Gökçeada departed from Aksaz Naval base to Gulf of Aden. TCG Gökçeada will serve under the international anti-piracy mission, CTF-151, to fight piracy and carry out surveillance tasks. According to some Turkish internet news portals she will replace TCG Gelibolu. This is unlikely as TCG Gelibolu is in SNMG-2 but on the other hand she is in the region since February and her replacement may be due. Turkish admiral of the ship will take over the command of CTF 151 on September 1 and TCG Gökçeada will serve as the command ship for three months. >F-492 TCG Gemlik, Turkish contribution to CTF-151 is returning to her home port Aksaz on 24th April 2010. She had left her home port to relieve TCG Gökova in Gulf of Aden, in early February. Currently TCG Gelibolu is the only Turkish warship in the Indian Ocean.